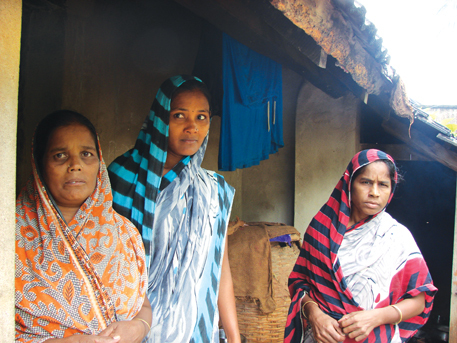 Everybody in Rautabhuin village in Cuttack knows the dilapidated mud house where a family of five sisters-in-law lives. All of them lost their husbands to a kidney disease between 1993 and 2005. Kuntala Naik, the eldest of the five, recounts the unexpected death of her husband, the first in the family to succumb to renal failure. “He was healthy. Only a month before his death he developed swelling in limbs and complained of severe fatigue,” Kuntala says. By the next year, his younger brother started showing similar symptoms. He was taken to the Shrirama Chandra Bhanj (SCB) Medical College in Cuttack city. It is the premier medical institute in Odisha. “The doctors diagnosed kidney failure. Despite the high cost of commuting, we wanted to take him to the hospital for dialysis. 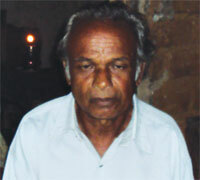 But the disease did not give us enough time to save him,” Kuntala recounts. Over the next few years, rest of the brothers died the same way, one after the other. The disease has assumed almost epidemic proportions in this village in Narsinghpur block. Of the 94 households in Rautabhuin, 25 have at least one member with kidney problem, estimates Nabakishore Rout, the village secretary. The latest victim is six-year-old Kartikeswar Rout. Doctors treating patients from Rautabhuin say their symptoms are similar to chronic kidney disease (CKD), a condition characterised by a gradual loss of kidney function. But none of them suffers from the common triggers of CKD, such as diabetes or hypertension. In the absence of a known cause, they have classified it as chronic kidney disease of unknown aetiology, or CKDu (see ‘What is CKDu’). Kidneys filter the blood and remove waste from the human body through urine. They also regulate electrolytes and blood pressure; maintain acid-base balance; and produce hormones such as calcitriol (which helps increase the level of calcium in the blood) and erythropoietin (that controls red blood cell production). In people suffering from chronic kidney disease (CKD), these functions get hampered. This leads to accumulation of fluids in tissues, causing swelling and extreme fatigue. Doctors usually prescribe anti-hypertension drugs and vitamins to prevent further damage. Once the kidney is damaged, there is no specific treatment. Patient has to depend on dialysis or opt for kidney transplant. The disease has five stages. During initial stages, cellular changes lead to fibrosis in the kidney. This results in excess protein in the urine and high creatinine, a waste of body metabolism, in the blood. In the last two stages, the kidneys shrink—from about 9 cm to 2 cm. A person can function normally even if only 20 per cent of the kidney functions. This highlights the need for active surveillance of people who are at the risk of the disease. This will also help minimise further damage. Unlike CKD caused by hypertension and diabetes where the blood vessels of the kidney are affected, in CKD of unknown aetiology (CKDu) the damage is to tubules and interstitium of nephrons. This is where the waste laced with toxins is stored before being excreted. This damages the tissues. To understand CKDu and reduce its incidence, it is necessary to pin-point the toxin. According to the Indian CKD Registry, maintained by the Indian Society of Nephrology since 2005, about 16 per cent of the 52,273 adult CKD patients in the database are classified as CKDu. The data shows that the category is the second biggest in CKD, following CKD caused by diabetes. The Indian CKD Registry also shows that most CKDu patients belong to low-income families. Routabhuin fits the bill. Government records show 70 per cent families in the village live below the poverty line. 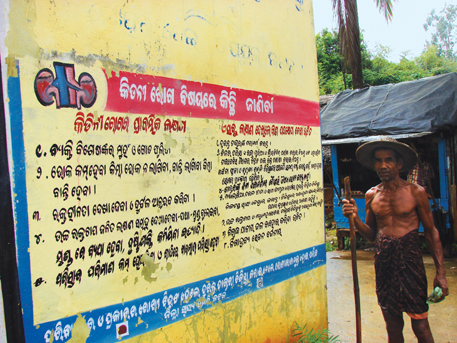 Many more villages in Odisha are living under the curse. “Kidney problems are widespread in 29 of the 33 village panchayats in Narsinghpur,” says block development officer Bishnu Prasad Acharya. In 2009, following reports of people dying due to renal failure across Narsinghpur, non-profit Social Human Action for Rural Poor (SHARP) organised a CKD screening programme in three villages, including Rautabhuin. Of the 430 people who came for screening, 138 were diagnosed with CKD. In May this year, SHARP organised the programme in four villages, including the three covered in 2009. Nephrologists found 100 new CKD cases. None of them suffers from the known causes of CKD. Such unusually high incidence of the disease prompted the regional wing of the Indian Council of Medical Research (ICMR), the Regional Medical Research Centre (RMRC) in Bhubaneswar, to survey 1,339 people in Narsinghpur between June and September this year. Its preliminary findings, to which Down To Earth has access, show 8-12 per cent people of the group suffer from CKD. “In most of the cases, we found that CKD was not related to hypertension or diabetes,” says S K Kar, director of RMRC. Experts at the institute say besides Cuttack, other districts such as Bhubaneswar, Jajpur, Balangir, Kalahandi, Jharsuguda and Koraput are also reporting high incidence of the disease. ICMR has now identified Odisha as one of the two CKD hotspots. The other one is its southern neighbour, Andhra Pradesh. In village Kanduluru in the coastal district of Prakasam, K Elamantha Rao, a 60-year-old farm hand, suffers from CKD. He came to know about his disease in 2008 at a medical camp organised by Nizam Institute of Medical Sciences (NIMS), Hyderabad. Almost 360 people from his village had got themselves tested at the camp; the results came positive for 81. Most people in Kanduluru are small farmers or farm labourers from scheduled castes and backward communities. “At least 19 villages in Prakasam have high burden of the disease,” says T Gangadhar, nephrologist at NIMS. His team screened 2,804 people for CKD and found 17.4 per cent of them were suffering from the disease. In some villages, the prevalence of CKD was 40 per cent, he says. Medical screening in five coastal blocks in Srikakulam district by the team of Ravi Raju Tatapudi, former director of Medical Education in Andhra Pradesh, shows 17-26 per cent of the population suffer from CKD. Gangadhar also says most CKD patients in the region do not suffer from the known causes—hypertension and diabetes. Both Odisha and Andhra Pradesh have been reporting CKD for almost a decade, but health experts are yet to pinpoint the cause. RMRC suspects painkillers or heavy metals like mercury, cadmium and arsenic could be the cause. But its study shows painkillers were used only by 14 per cent of the patients, which is not significant. Researchers from Andhra Medical College, including Tatapudi, and Harvard Medical School in the US analysed water samples from Srikakulam. “Preliminary data pointed to a high level of silica contamination,” note the researchers in an abstract presented at the conference, Environment and Health-Bridging South, North, East and West, held in August 2013 in Switzerland. They implicate silica in the prevalence of the disease. Gangadhar had found high levels of strontium and silica in water samples from Prakasam, but suggests that only silica could be linked to the disease. His study is yet to be published. A recent study by the National Geophysical Research Institute (NGRI), Hyderabad, and WHO India, however, ruled out inorganic chemicals, such as silica, as the cause of kidney problems in Srikakulam and Prakasam. The team led by geologist D V Reddy of NGRI and A Gunasekar of WHO India measured major ions and trace elements in water. They found that groundwater in Srikakulam is less mineralised than that in Prakasam and the concentrations of inorganic chemicals were within the permissible limits for drinking water. The researchers also pointed out that while both the regions have a common problem of CKD, they are geologically, hydrologically, hydrochemically and socially different. “There is a need to understand the multi-factorial aetiology of CKD,” says Reddy. The study, carried out on the request of the Department of Science and Technology (DST) at the Centre, was published in Environmental Geochemistry and Health in March 2013. For further investigation, DST has funded another comprehensive study in Srikakulam this year. Seven organisations in Andhra Pradesh—Nizam Institute of Medical Sciences, the National Institute of Nutrition, the Centre for Cellular and Molecular Biology, Andhra University, Association of Hydrologists of India, Andhra Pradesh State Ground Water Department and Aditya Institute—will look into the possible causes of kidney diseases. “The causative factors need to be analysed in a comprehensive way involving expertise from various departments,” says Gangadhar, the principal investigator of the study. Reddy and Tatapudi, who have extensively studied the problem in the region, are not part of the latest DST study. The country’s premier medical research organisation ICMR has also decided to carry out studies to unravel the mystery of CKD. It is finalising studies and protocols. The head of ICMR’s task force, Vivekanand Jha, who is professor of nephrology at the Post Graduate Institute of Medical Education and Research in Chandigarh, says the studies will be divided into three major areas—environment, genetics and maternal nutrition. All these parameters are often linked to the disease. For example, Jha says, there is evidence that the children of undernourished mothers develop fewer nephrons. Maternal malnutrition could thus be a reason for CKD. If that is the case, improved nutrition would be a cheap method to control the disease, he says. CKDu is not new to South Asia, nor is the controversy over what triggers it. Sri Lanka has been trying to unravel its mystery for the past two decades. Indian health experts can take their cue from Sri Lanka’s experience. Sri Lanka has been grappling with CKDu since early 1990s. The disease is endemic in the dry North Central Province. During the 20-odd years of research, the disease has been linked to heavy metals, agrochemicals, algal toxins, fungal toxins, ayurvedic medicines, snake bites, aluminium utensils, radioactive material, arsenic, fluoride, water quality in terms of calcium, sodium and magnesium, combined effect of calcium, sodium and fluoride, infections and dehydration to name some. But for each theory, different researchers have contradictory results. Nalaka Gunawardene, a journalist in Colombo who has been following the disease, calls CKDu an “intriguing research problem and a scary public health problem”. In 2008, the Sri Lankan government requested WHO to conduct an extensive study of the disease, identify the cause and develop preventive strategies. Though the government is yet to make the report public, scientists involved in the study published their findings in the peer reviewed journal BMC Nephrology in August this year. The researchers measured arsenic, cadmium, lead, selenium, pesticides and other elements, often linked with kidney ailments, in biological samples from CKDu patients from three endemic areas (Anuradhapura, Polonnaruwa and Badulla). They compared the data with control groups from the endemic areas and non-endemic Hambantota area. They also analysed food, water, soil and agrochemicals from all the areas for the presence of heavy metals. But both the government and WHO received flak soon after the findings were published. The reason: the findings fail to provide answers and lead to more confusion (see ‘Controversial findings’). The results on cadmium are a case in point. The paper reports that people living in the endemic area are exposed to cadmium through the food chain and links it to CKDu. It found that the concentration of cadmium in CKDu patients’ urine was significantly higher than that of the control groups in both endemic and non-endemic areas. The level of cadmium was also high in the nails of CKDu patients. Its level in surface soil in the endemic area was double than that in non-endemic areas. The level of cadmium in phosphate fertiliser was 30.8 μg/g, compared to the maximum acceptable limit of 4 μg/g. Despite such high level of cadmium in the environment, the team did not find it in water, the most likely vehicle to carry the element into the food chain. Previous studies had not found conclusive evidence that cadmium is the cause of CKDu. Though the study suggests role of arsenic and lead in CKDu, the researchers have not debated this aspect in the study conclusions. They have merely stated that exposure to cadmium and deficiency of selenium in people could be the factors responsible for CKDu. People could also be genetically susceptible to the disease. A key finding of the study is women are more affected by the disease. This comes as a surprise because all the earlier research had stated that men are more susceptible to CKDu. “The report is unreliable, unscientific and misleading,” says Oliver Ileperuma, professor of chemistry, University of Peradeniya, who is part of an independent team of scientists from different fields that has been working on the disease since the 1990s. “If cadmium is the only causative factor, why is it not prevalent in other agricultural areas where the same agrochemicals (phosphate fertiliser) are used?” he asks. Ileperuma also points out inaccuracies in the study. The group claims that high amounts of cadmium are absorbed by aquatic plants like lotus, the roots of which are used as vegetable. But people in these areas rarely eat this vegetable, he points out. It is available only in dry season and a person would have it only once or twice a year. He plans to write a letter to the journal and point out the errors. Another problem with the study is that the researchers have not measured parameters, such as fluoride, that have been implicated earlier. A study published in Science of the Total Environment in 2011 had showed that high levels of fluoride are common in drinking water in both endemic and non-endemic areas in Sri Lanka. But water with higher levels of calcium bicarbonate was more common in endemic areas. A large variation in the ratio of sodium and calcium ions was also seen in these areas. The study showed that fluoride did not act alone, but caused the damage in conjuction with calcium and sodium ions. Though the BMC Nephrology study says that fluoride in water may have worsened the impact of cadmium, it does not investigate this further. The expensive research by the Sri Lanka government done in collaboration with WHO —the National Science Foundation spent a whopping US $0.7 million of the US $1 million spent on the study—had left the government cash-strapped, and it was unable to support independent studies for CKD in the past few years. “The research programme discouraged other scientists exploring the issue to the detriment of scientific enquiry and well-being of residents,” say health experts A R Wickremasinghe and K P Wanigasuriya in December 2011 issue of Ceylon Medical Journal. With culmination of the research, the government now plans to fund independent research again and has asked for submission of proposals. University of Peradeniya researchers have plans ready. These include studies on the food basket to quantify toxins in food and water, studies to determine the form in which heavy metals are present in the environment, and studies on the effects of dehydration on CKD. “We will also conduct studies in the war-hit Jaffna,” says Chandrajith. The group has carried out studies despite shortage of funds by collaborating with scientists in Japan. In a paper accepted for publication in the Journal of Occupational Health, they point out a significant association between CKDu and genetic variability. A single nucleotide polymorphism in SLC13A3 (sodium-dependent dicarboxylate transporter member 3) may determine if an individual is susceptible to the disease. Following criticism, WHO and the government are now on a spree to validate their results. In September, they held a discussion in Colombo on the findings of the collaborative research. A literature repository consisting of relevant research on CKD was also released at this meeting. The next jamboree, “Chronic kidney disease of uncertain origin: a scientific basis for future action”, is planned on December 10 in Colombo. Ravindra Fernando, professor of forensic pathology and toxicology at faculty of medicine, University of Colombo, says it is difficult to say what has to be done as we do not know the cause, pointing out that more studies need to be done to understand CKDu. Though still unsure of the reason, the Sri Lankan government has decided on the future action to tackle the disease. In October 2012, it set up a ministerial committee to recommend measures to reduce toxin load in the environment. Four sub-committees were formed to look at fertiliser use, pesticide use, organic agriculture and research findings. Based on their recommendations, a draft report was prepared in June this year. It recommends long-term and short-term measures. It is now with the Cabinet of ministers. The short-term goals—there are 19 of them—include regulating the agrochemical industry, setting down standards for maximum prescribed limits of trace elements in agrochemicals and promoting biopesticides and traditional methods of cultivation. Another short-term goal is to promote rainwater harvesting and provide safe drinking water to people in endemic areas. This would help patients like Heen Banda from Samanalatenna village in Dehiattakandiya division, who shells out SLR 250-300 (Rs 530-630) a month to get filtered water from a community managed water treatment plant. In 2012, Delhi non-profit Centre for Science and Environment had carried out a study in CKDu endemic areas of Sri Lanka. It had found that most people in the areas depended on poor quality of drinking water, and had recommended that the government should ensure access to safe drinking water (see ‘Renal emergency’, Down To Earth, September 1-15, 2012). The 10 long-term goals of the government include monitoring the quality of agrochemicals, drinking water, introduction of organic certification and conducting a cost-benefit analysis of use of agrochemicals. These measures may help reduce the use of agrochemicals like phosphate fertilisers that are known to have high levels of cadmium. Hemantha Withanage, executive director of non-profit Centre for Environmental Justice (CEJ) in Colombo, alleges that the government is providing fertilisers at subsidised rates, which leads to its indiscriminate use. Withanage says there is a need to address the social impact of the disease. Young people are leaving old sick parents in search of good water. The government should also provide insurance to patients by using the cess from the agrochemical industry, he suggests. An important recommendation of the draft is to improve access to healthcare. At present, facilities are highly inadequate in the North Central Province (NCP). In Dehiattakandiya division of NCP, 46 villages have reported high incidence of CKDu. In Samanalatenna village alone, 50 of the 4,000 people suffer from CKDu, says T M Gamini Piyarathna, project officer with CEJ. W C K Weerapana, medical superintendent of the Base hospital at the division, says though the hospital has about 1,200 registered CKDu patients, it does not have a nephrologist or a facility for dialysis. A physician, trained to provide treatment for CKDu, is the only caretaker of the hospital. This forces a lot of patients to travel long distances. Renal care needs good investigation and treatment. 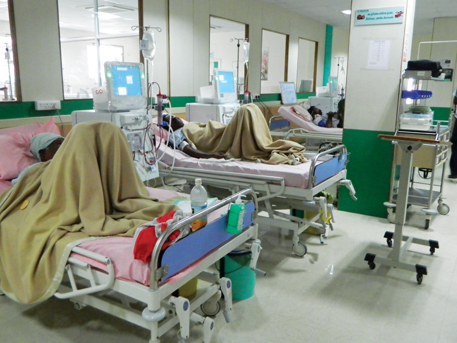 “People are not dying of CKD, they are dying because there are no facilities for dialysis or renal transplant,” says Nishantha Nanayakkara, nephrologist at Kandy General Hospital. New patients continue to add to the burden each day. Medawachchiya area of NCP reports as many as 40 new cases every month. Even smaller government clinics receive 15-20 new cases every month, he says. This puts a lot of burden on the government. As per WHO, the government spends as much as 4.6 per cent of the health budget on renal diseases. Yet it fails to provide facilities to cope with the demand, says Nanayakkara. 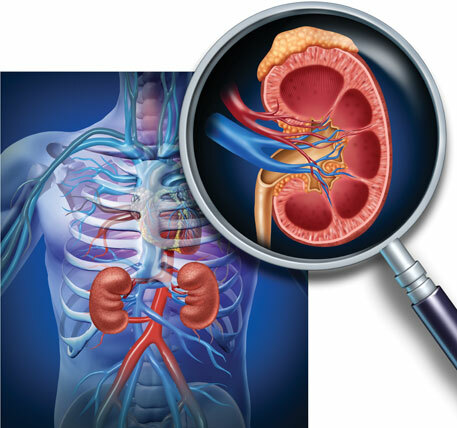 No new nephrologist has been recruited in Kandy in the past nine years. In Giradurukotte, there is just one part-time doctor for every 2,000 patients, as against four doctors. “Only researchers are working in the area, not doctors,” says Nanayakkara. Shortage of medical facilities also plagues India and prevents early detection of the disease. “People who are at a high risk of CKD should be screened every year for the disease,” says Sanjay K Agarwal, head of the nephrology department at the All India Institute of Medical Sciences in New Delhi. They need to get their blood pressure, urine protein, urine sugar, serum creatinine checked. But the problem is nobody is screening the population for kidney diseases in India. Patients come to hospital at an advanced stage of the disease. By then, the kidneys are damaged and it is difficult to figure out the cause, Agarwal says. Under these circumstances, the “unknown” group becomes bigger, he adds. The kidney disease worsens if blood pressure is not controlled or if the patient takes nephrotoxic substances like painkillers or catches an infection, says M M Rajapurkar, consultant nephrologist at Muljibhai Patel Urological Hospital Nadiad, Gujarat. But infrastructure and manpower are lacking for both treatment and screening. On May 16 this year, residents of three village panchayats in Narsinghpur blocks in Odisha blocked the road leading to Cuttack city to protest the lack of medical facilities for kidney patients at public health centres (PHC). “We have been complaining of widespread kidney problems in the area since 2001. But there have been no efforts to make the facilities available at the local level,” says Bijay Panda, a social worker fighting for the rights of kidney patients. At present, patients from these villages have to go to the SCB Medical College in Cuttack city, which is 120 km away, for treatment. “This is the only hospital that has nephrologists. Each trip costs us close to Rs 15,000 that includes the high cost of medicines,” says Mahesh Mahalik, a 45-year-old kidney patient from Durgapur village in Narsinghpur block. Many patients cannot afford this expensive treatment and often drop out of treatment after first visit to SCB. Following repeated protests, the Odisha government is now building a dialysis centre at the PHC in Narsinghpur. The district authority has also employed auxiliary nurse and midwives for detection of kidney patients on an experimental basis. They visit house to house and screen people for high blood pressure, anaemia and swelling in legs, which are the key signs of the chronic kidney disease. The affected person is then referred to hospital for treatment. Patients in Andhra Pradesh seem to be faring better than those in Odisha. The government has set up dialysis facilities in all district headquarters. But these facilities fail to cater to the high number of patients. Elamantha from Prakasam was asked to undergo dialysis twice a week. Though the district headquarter Ongole is closer to his village, the dialysis centre gets more patients than it can handle. 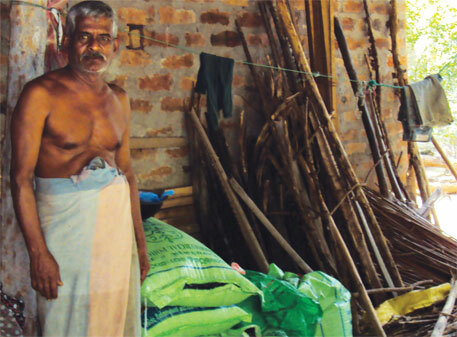 Elamantha is forced to go to private hospitals where he has to shell out Rs 2,000 per dialysis. Though the Andhra Pradesh government includes kidney treatment in the state-run Arogyasree insurance programme for the poor under which patients can also avail treatment from the private sector, only a few hospitals are empanelled under the programme. Ongole has two private hospital, but none of them is under Arogyasree insurance. Poor patients are, thus, forced to go to Rajiv Gandhi Institute of Medical Sciences (RIMS). Dialysis machines are inadequate even there. “We have 20-30 people on waiting list every day,” says Khaja Mansur, dialysis unit in-charge at RIMS. Similar shortages occur throughout the country. Agarwal gives some figures. At one point of time, 500,000 people need dialysis in India. But there are only 6,000 machines across 2,000 hospitals in the country. This is sufficient to cater to the need of only 10 per cent of the patients. On November 25, 2013, acting on a public interest petition that demanded at least one dialysis unit in every district, the Supreme Court sought response from the Centre and the state governments. Till the government ensures adequate treatment facilities, simple steps like providing clean drinking water could help the patients to an extent. During the study by NIMS, pure water was supplied to patients in Kanduluru village in Prakasam district for three months. “The level of creatinine came down in many patients during the period,” says Gangadhar. This indicates improved kidney function. Following the study, funded by the Andhra Pradesh government and DST, the government has established an overhead tank in the village for providing treated water. But residents complain that when there is no water in the tank, officials pump untreated groundwater into the tank. According to Screening and Early Evaluation of Kidney Disease study, a global effort to identify the prevalence of the disease, the prevalence of CKD in India is 17.2 per cent. This is much higher than the global prevalence of 8-16 per cent, as reported in The Lancet in July 2013. It seems Odisha and Andhra Pradesh are just indicators of a much bigger problem in the country. Indian researchers are optimistic about solving the mystery. “Sri Lanka did not follow standard methodology. That’s why we are looking at a robust research strategy. It is only then that the results would be conclusive,” says Vivekanand Jha, who heads the ICMR task force on CKDu. “We have learnt from Sri Lanka that we need to be comprehensive and complete in data collection, otherwise we would be left with more questions than answers.” WHO is not part of the ICMR study. Meanwhile, researchers in Sri Lanka have expressed interest in understanding the possible triggers of CKDu in India. Oliver Ileperuma of University of Peradeniya hopes that a collaborative study may help answer the question for both countries. nice post. It throws light on inefficiency of government in raising living standards & health quality.